Have you thanked a nurse lately? 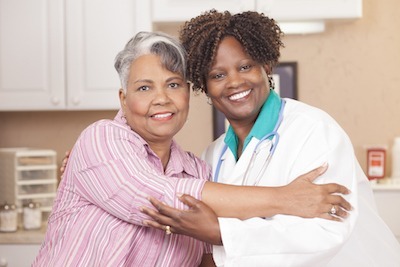 Nurses are essential to caregiving: they are the ones who act as liaison between patients and doctors, making every step of medical processes more personable, easy, and ultimately effective. They provide education about treating and preventing illness, assist in caregiving, and give emotional and physical support for their patients. In fact, we love our nurses so much that, according to a Gallup poll, we rated them as the most honest and ethical professionals for 15 years in a row. They are with us from the moment we are born through our last days, cheering us through our joys and helping us through our sorrows. How can we help our nurses? Luckily, many hospitals, doctors offices, and other healthcare outlets are starting to recognize the importance of providing stress-relief and holistic health practices for nurses at work, like Tai-Chi and yoga classes during lunch breaks, on-site farmers markets, and professional support groups. These benefits aim to not only improve the health and well-being of individual nurses, but the quality of care they are able to provide their patients. National Nurses Week is one more way that nurses’ hard work is gaining recognition. If you have a special nurse or caregiver in your life, help them achieve balance of mind, body, and spirit by providing them some caregiving of their own. Pamper them with a gift card for a massage, offer to bring a home cooked meal or meal-prep (like a jar of various beans and spices for a healthy just-add-water soup), or sit down and have an open conversation with them about what their needs are and if there’s anything you can do to help meet them. It’s never too early or too late to tell your caregivers how much you appreciate them! If your loved one needs a regular caregiver, including live in care Orlando nursing services, consider bringing a qualified care provider into your home. American In-Home Care always refers qualified, screened, and insured care providers, included Registered Nurses, who are compassionate and ready to help. Contact us at 1-844-505-0004 to schedule your free in-home consultation to discuss which care options are right for you and your family.